If you have ever seen any amazing building that stands tall in the center of a thriving city, the awe that such structures inspire is not an alien feeling. Today, these structures are classified as man-made Structures since it was nothing short of miraculous that such grand structures were built using the most primitive technology man-made Structures of the world. 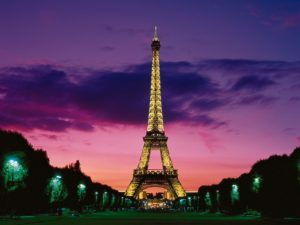 Here is a list of the top 10 world’s most spectacular man-made structures. 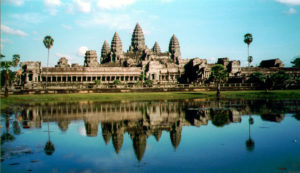 The Angkor Wat Complex is one of the largest and most beautiful temple complexes in the world was commissioned by Khmer King Suryavarman II in the early 12th century as the official temple of the state. This structure is very important for the individuals of Cambodia and also show on the national flag. The complex was initially a Hindu Temple, later it was converted to a Buddhist structure when the rulers of the region changed. There are many foreign and domestic tourists visit this place every year and was declared a World Heritage Site in 1992. The London Eye is a giant Ferris wheel situated on the banks of the River Thames, in London, England. The total structure is 135 metres tall and the wheel has a diameter of 120 metres. 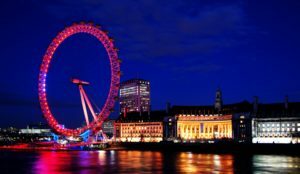 It is the tallest Ferris wheel in entire Europe, and the most famous paid tourist attraction in the UK, visited by over 3.5 million people annually. The Sydney Opera House is a multi-venue performing arts centre in Sydney, Australia. 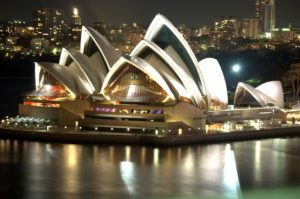 A masterpiece of modern architecture, the opera house has become an iconic symbol of both Sydney and the Australian nation. It was conceived and largely built by Danish architect Jørn Utzon, who, in 2003, received the Pritzker Prize, architecture’s highest honour. 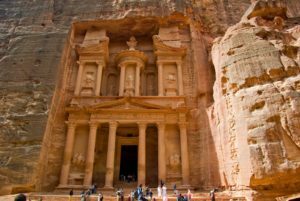 Petra is an archaeological site in Jordan also knows as the “rose city” due to its colour, which is as old as 312BC. It is a city occupying 264 square km of an area which is a marvel of rock-cut architecture. It was a trading hub which controlled the commercial routes to Gaza, Bosra and Damascus. It was built by the Arab Nabataeans and was unknown to the world till 1812. Potala house is the winter house of Dalai Lama since the 7th century. 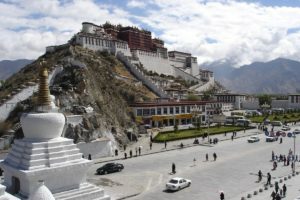 It is built in the center of Lhasa valley on the Red Mountain at an altitude of 3,700 meters. It symbolizes the role of Buddhism in traditional administration of Tibet. It is now a museum and a world heritage site. The complex comprises of Red Palace and White Palace. The inward sloping walls and the flat roofs at various levels are a distinction to other architecture. The staircases connect the palace which has several chapels and halls. There are galleries which now serve as places to buy souvenirs and refreshments for visitors. The place also includes the tomb of the 13th Dalai Lama. The view of this palace is gorgeous, surrounded by snowy mountains and valleys. Taipei World Financial Center, also known as TAIPEI 101 is one of the tallest buildings in the world. It has 101 floors above the ground level, hence the name. 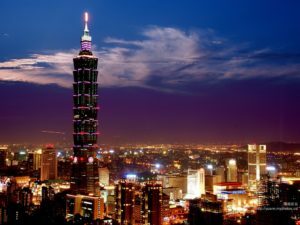 Taipei is designed to stand firm against earthquakes and typhoons which are common in Taiwan. It has been awarded the LEED (Leadership in Energy and Environment Design) platinum certification, which is the highest according to the LEED rating system. Standing in the shape of a Chinese pagoda, it has 8 modules flaring outwards. With a number of 61 functional elevators which move with a speed of 16.83 m/s, this building is an icon of modern Taiwan ever since its opening. Petronas Towers another are the tallest twin towers in the world standing in the capital of Malaysia. The twin towers are connected by a bridge called the Skybridge. 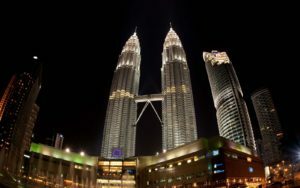 It is a convincing feature of the twin towers and is open for visitors. From the 41st and 42nd floors of this sky-touching structure, one can observe the skyline of Kuala Lumpur. The firm structure of the bridge is such that it remains in place and is independent of the movement of the twin buildings, however, might they move or twist. The Gateway Arch is the tallest man-made monument in the western hemisphere and the tallest stainless steel structure in the world. 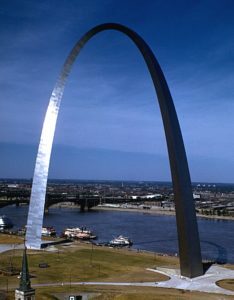 The arch is a landmark of the city of St. Louis has welcomed visitors since 1967. With 192 meters in height and width, it was completed in 1965. The arch is hollow to accommodate a tram system to take the visitors to the top of an observation deck which offers a view up to 48 km. You can have breathtaking views of the city once you get to the top of the Arch. The Burj-Khalifa is the largest building in the world, soaring over the desert landscape of Dubai. 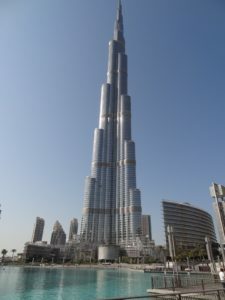 Burj Khalifa (Arabic for ‘Khalifa Tower’) is the world’s tallest man-made structure at 829.8 m (2,722 ft). The centrepiece of Downtown Dubai construction of the Burj Khalifa began in 2004, with the exterior completed five years later in 2009. The primary structure is reinforced concrete. It is designed to be the centrepiece of large-scale. The building was named in honour of the ruler of Dubai and president of the United States Arab Emirates. 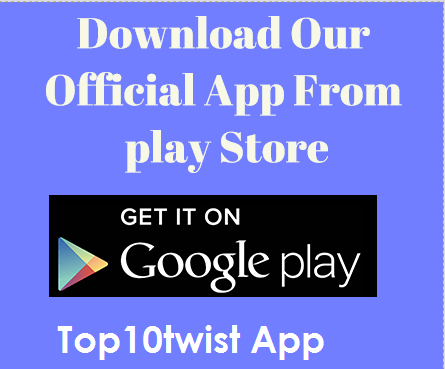 It is known for its wonderful structure and is truly one of the best man-made wonders in the world.